Now employing more workers than tech giants Google, Apple, Facebook, and Twitter combined, the Solar Energy Industries Association reports that state tax incentives are spurring significant growth in the solar market. As of 2014, nearly 175,000 employees in the US solar market have installed a total of 20 GW of solar energy capacity, 32% of which came in 2014 alone. Recently released by the Solar Energy Industries Association (SEIA), a report entitled U.S. Solar Market Insight 2014 Year in Review highlights the successful growth of the solar market in the United States. Nationwide, the U.S. residential solar market continued to be the fastest-growing market segment in the U.S., with 2014 marking three consecutive years of greater than 50 percent annual growth. Also marking the first time that the residential solar market sector surpassed 1 GW of clean, affordable solar, the new SEIA report noted that 1.2 GW of residential installed capacity was added in 2014. Enough to power 4 million homes, the mix of installed solar capacity included 6,201 MW of solar photovoltaics (PV) and 767 MW of concentrating solar power (CSP). • The U.S. installed 6,201 MWdc of solar PV in 2014, up 30 percent over 2013, making 2014 the largest year ever in terms of PV installations. • More than one-third of all cumulative operating PV capacity in the U.S. came on-line in 2014. • Growth remains driven primarily by the utility solar PV market, which installed 1.5 GWdc in Q4 2014, the largest quarterly total ever for any market segment. • By the end of 2014, 20 states eclipsed the 100 MWdc mark for cumulative operating solar PV installations, and California’s market alone is home to 8.7 GWdc. • 2014 was the largest year ever for concentrating solar power, with 767 MWac brought on-line. • Notable project completions include the 392 MWac Ivanpah project, Genesis Solar project’s second phase of 125 MWac, and Abengoa’s Mojave Solar project of 250 MWac, which achieved commercial operation in December 2014. • 2015 forecasts include PV installations reaching 8.1 GWdc, up 31 percent over 2014. • Growth will occur in all segments, but will be most rapid in the residential market. SEIA President and CEO Rhone Resch reported, “As a percentage of total solar installations last year, Louisiana’s residential market did better than any other state in the nation. That’s pretty impressive.” 2014 was the fifth straight year that the Louisiana solar market showed strong growth in solar installations, with installed system prices dropping by 8%, down a total of 49% since 2010. 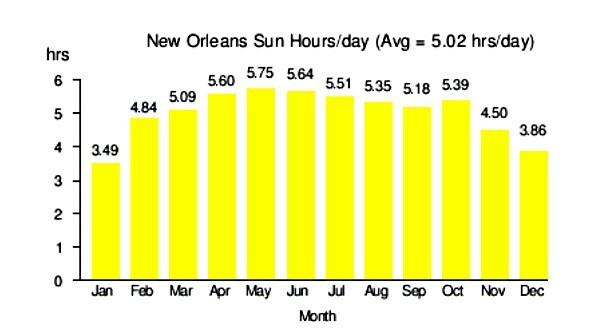 Louisiana added 31 MW of solar energy capacity in 2014, bringing the state total to 65 MW. That’s enough clean, affordable energy to power more than 6,000 homes. The new SEIA report also noted that while residential installations showed the biggest solar market gains, Louisiana’s commercial installations also increased. Leading companies like Walgreens and Whole Foods added 1 MW to the commercial solar market sector, while 30 MW of new capacity was added to Louisiana ‘s residential sector. Across the state, these installations represented an investment of $111 million. 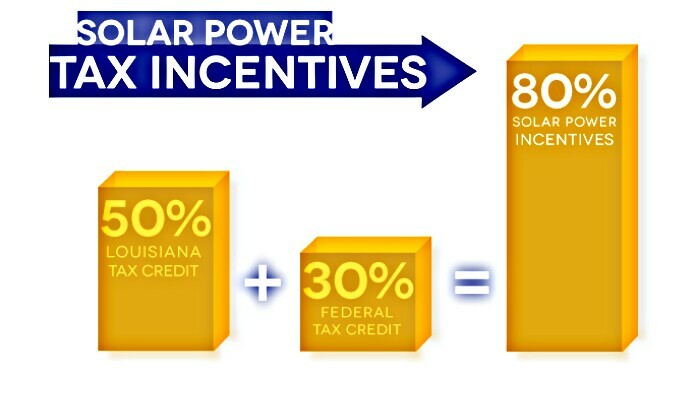 As the result of an earlier compromise between legislative leaders and solar advocates, Louisiana’s successful solar tax credit was drafted to remain in place only through the end of 2017. Today, There are currently 57 solar companies at work throughout Louisiana’s value chain, with more than 1,200 people employed.